If you have hearing loss, there are times you want to cry. If you’re related to someone with hearing loss, there are times you want to cry. All because of that awful, 11-letter F-word. 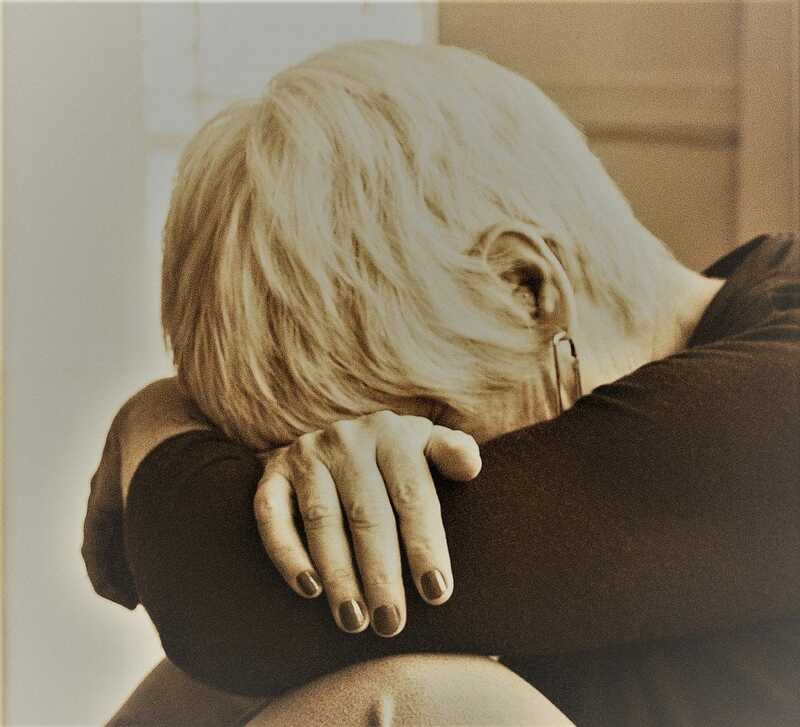 Tears may flow from the eyes, sobs escape from the throat, our face becomes a scowling, grumpy mask—how we handle hearing loss frustrations is an individual thing. Sometimes we snap at our family, let fly with a cuss word, hiss at the cat, or consider slugging somebody. It’s perfectly natural to vent our frustration because of the many—oh, a million or so—irritants that plague us. It’s said that for every problem, there’s a solution. When dealing with hearing loss, the basic solutions involve seeing a hearing care professional, adopting technology, learning and using other communication strategies, and expressing our communication needs. Now that’s the big picture. It’s the small stuff that makes us sweat. Here are a few hearing loss situations that you may describe with that 11-letter F-word. Hearing aids don’t fit your stylish wardrobe. Adjusting to the look of a hearing aid can take a while. My first one was a behind-the-ear job, dark beige and ginormous. I can’t find a picture on the internet that matches its ugliness, but I can tell you it felt like a neon sign that flashed the message, Hard of Hearing Person Here!!! But that was just my reaction; family and friends didn’t give two figs what it looked like. They were just happy to have me hearing better. You tell your family a hundred times—a day—and they still forget how to keep you included in the conversation. This is a tough one that we all deal with. Some serious discussion is needed to develop strategies, including environmental tweaks (round tables, smaller groups, less background noise, etc.) to improve communication. Your spouse-parent-child ‘forgets’ to put in their hearing aids, and they resent you reminding (aka criticizing) them. The situation goes downhill from there. Pump up the benefits of hearing aid use—better family communication is a good start. Also, understand that getting used to a hearing aid can take some time. Sometimes the fit and volume levels need to be adjusted by the professional. Or they may consider it as ugly as my first one, an attitude that will change once they come to rely on it. Missing important sounds, such as the alarm clock, telephone, doorbell, microwave, and the pot boiling over, is a guaranteed grumpy-maker. There are technical solutions for every one of these. Also, don’t leave the kitchen while cooking. I speak from the experience of many burnt pots, spoiled food, and near-misses of kitchen fires. Pillow talk is no longer easy, or even possible. Hey, who says the lights have to be out for good pillow talk? A little light makes a lot of sense. The list of hearing loss frustrations is long. So is the list of ways to positively deal with them. It helps to read about how other people have successfully dealt with hearing loss. I’m not saying that misery loves company. I’m saying that successful communication, in my opinion, is high on the list of Things We Need in Order to Survive. It’s right up there with air, food, water, and hugs. With better communication, we can stop using that 11-letter F-Word as often. Conversations between front and back seats of the car. Brilliant. True story. My first dinner party at my place was three days after receiving my first-ever hearing aids. I was in the kitchen at the sink (already in pain from over stimulus of multiple voices) , when my sister simply walked up behind me and spoke to me. Her voice sounded so LOUD and so startling that I jumped (literally) in mid air and spun around to face her. “DON’T DO THAT!” I screamed. Eyes big as saucers…hers and mine. I immediately apologized, but the F situations played out for months.